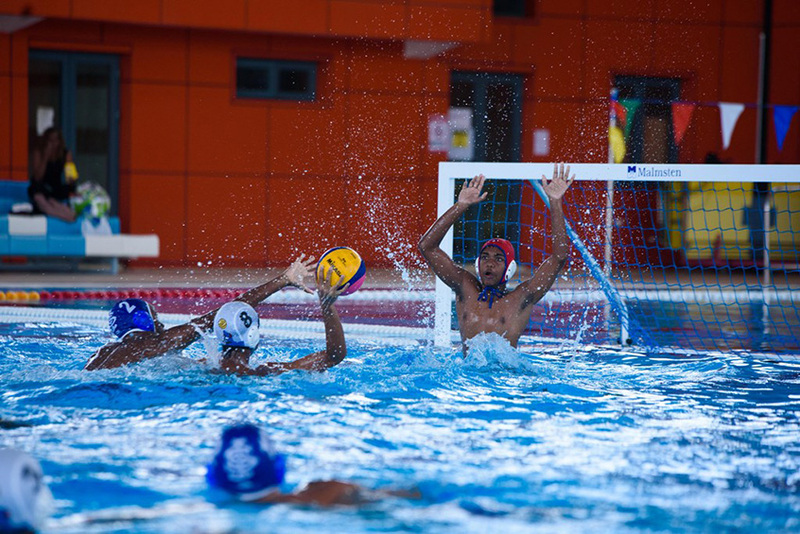 Queen’s Royal College and Bishop Anstey High School earned titles in the Open Male and Open Female divisions respectively but neither match was an easy win for the victors. After ceding medals to St. Mary’s College in both the Under 14 and Under 16 matches, Queen’s Royal College was not about to surrender their last chance for glory on their match against St. Mary’s college. They scored what looked to be a tie breaking goal in the last 45 seconds of the Male Open. But St. Mary’s College didn’t falter and quickly levelled the score at 13-13 with just 14 seconds left to the game. The match was decided in Queen’s Royal College’s favour on penalties with Queen’s Royal College scoring five penalty shots to St. Mary’s College’s four. Only one goal separated Bishop Anstey High School from St. Joseph’s Convent, Port of Spain in their 9-8 Open Female game. Despite their best efforts and some fantastic saves by goalkeeper, Gabriella Belcon, St Joseph’s Convent simply could not shake Bishop Anstey who also took home the gold medals in their closely fought 14-13 Under 16 Female match. The calibre of the athletic performances that were put on display at Sunday’s final session demonstrate why the League has proven to be a breeding ground for successful Olympic, professional and university level athletes. It also marks the start of a fantastic first year for Republic Bank as hosts of the event. The Bank’s support of the league is part of its commitment to the development of youth through sport under the Power to Learn pillar of its Power to Make A Difference Programme.